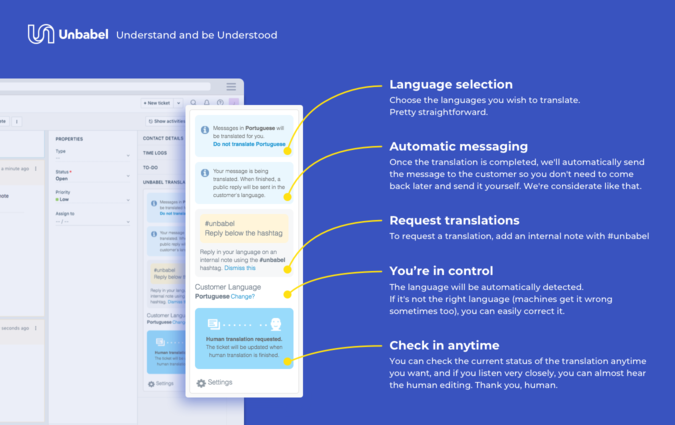 International businesses like Pinterest, Skyscanner, Under Armour and Rovio trust Unbabel’s proprietary artificial intelligence pipeline to deliver professional quality translations of customer tickets at massive scale. 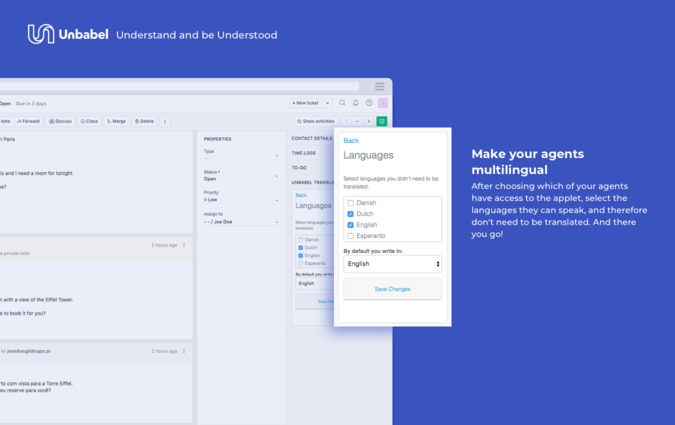 Powered by Unbabel’s “Translation as a Service” platform, it’s never been easier to open up and grow new markets, and to optimise your existing localisation workflows. 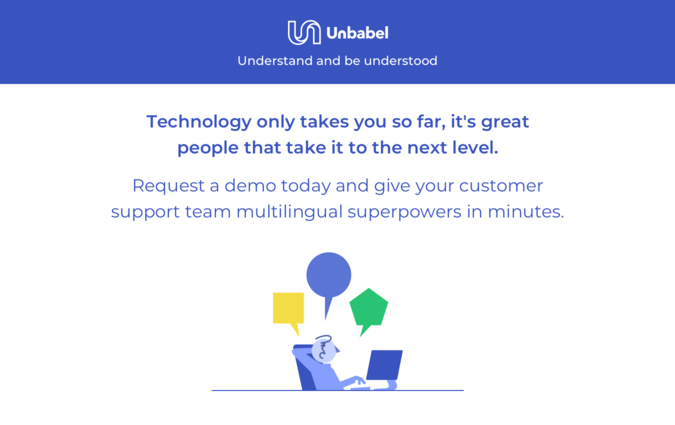 Understand and be understood in 28 languages with Unbabel Translate for Freshdesk. 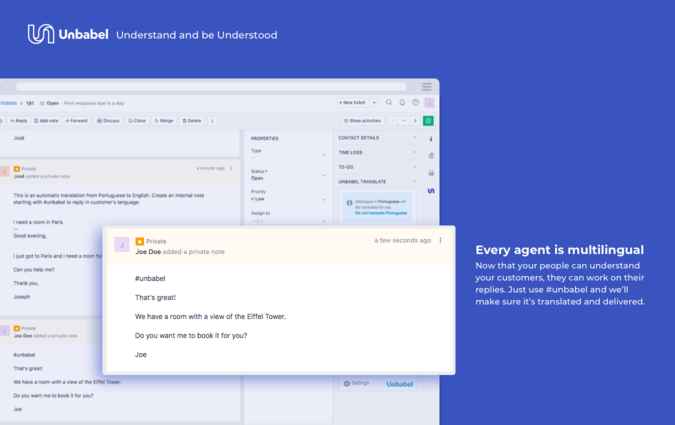 - Custom pricing: Please contact sales@unbabel.com or submit a pricing request via https://unbabel.com/pricing/ to discuss a pricing plan right for you. 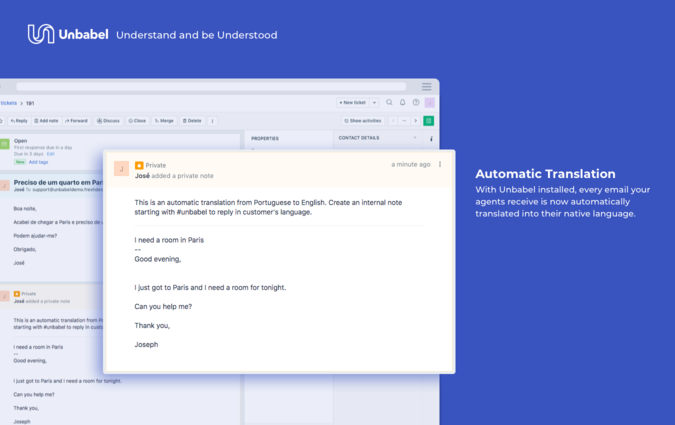 Please contact sales@unbabel.com or submit a pricing request via https://unbabel.com/pricing/ to discuss a pricing plan right for you.